At a baby shower party the mother to be is usually the guest of honor and this a special day for her. One way to make her stand out and feel honored is by giving her a corsage. 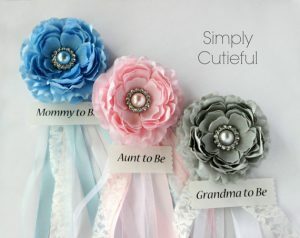 Here are some cute baby shower corsage ideas that can help you find the one you are looking for. When you have a large number of guests, all the guests might not know each other. 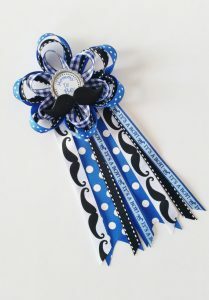 Therefore it would also be a good ideas to have a baby shower corsage for the dad, the grandma, grandpa, aunt, uncle, little brother / sister, …This will help the guest to identify who all the family members quickly. For the Little Man Theme, there are a few choices of corsages. Colors are blue and lime or black and blue. 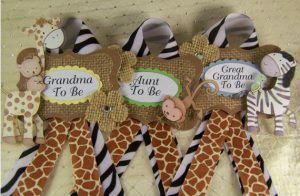 If you want to try to make your own baby shower corsage, there are few things you should take into consideration. 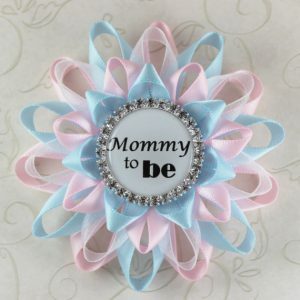 You should create a corsage that goes well with the theme and the gender of the baby. You would require different items like ribbons/fabric, flowers, floral tape, hot glue gun, floral wire, scissors, safety pins, etc. These items are easily available at different stores and online. The first step is to position the wire that you will cover around the flower stems. You can position the flowers in the way that looks good to you. This is again your choice that you tie these flowers together by using hot glue gun or you tie these flowers by using the fabric ribbon. To avoid for the knot to come apart, you should glue it. You can also use the safety pin on the hot glue to keep the knot at its position. 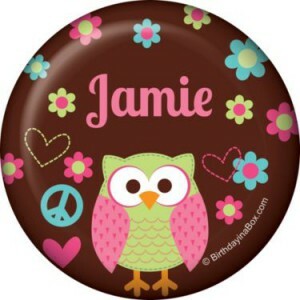 Next you can add ribbons and embellishments. Different mini plastic baby items such mini pacifiers can be added to the corsage. Another easy and unique way is to use the idea of a wrist corsage. 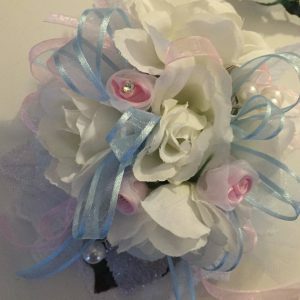 The best part about the wrist corsage is that they are easy to make. The main wrap around would be done with fabric, ribbon or tulle. I like tulle as it’s easier to tie it to the wrist and you can always cut the excess off. 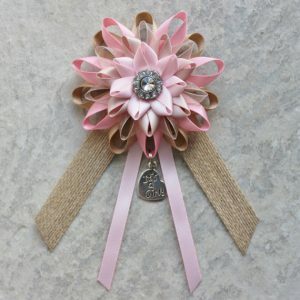 Lastly, there are so many ways you can make baby shower corsage ideas – you just have to use your imagination! Here are more baby shower decoration ideas that might help you for your party! 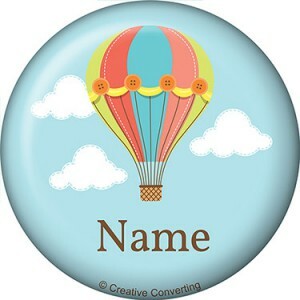 This entry was posted in Ideas and tagged Corsages. ← Top 5 Baby Shower Games to Rock your Party!